Many years ago I worked in a large bank branch in Newcastle upon Tyne…(though where it was is immaterial !!). 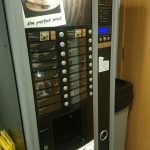 There was a tea/coffee machine in the staff room, and every so often it would dispense a mixture of tea and coffee, regardless of what had been ordered. Let me tell you, that is the most disgusting mix to ever get in your mouth! You’ve left yourself wide open with that last sentence, Francis… but I’ll be grown up and not say anything. But yes, tea and coffee in the same cup doesn’t sound too appealing. I will be grown up as well. Vended hot chocolate is mostly acceptable. 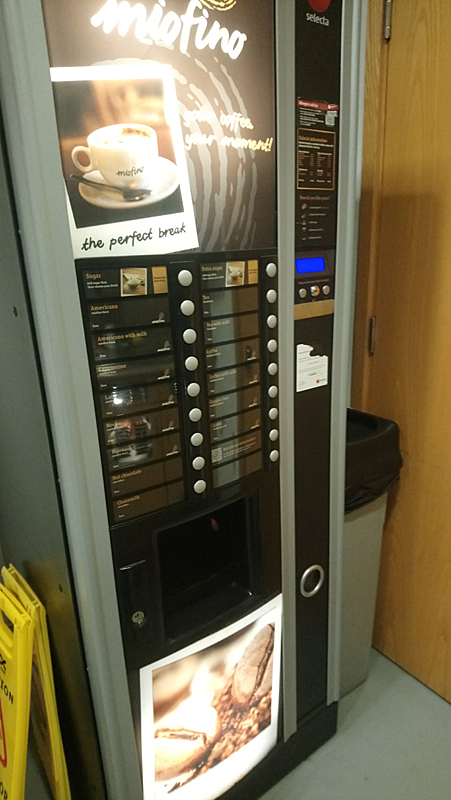 But the last couple of places I’ve worked have free tea and coffee in the kitchens. The place I work now has two Costas and one Starbucks. That’s just the building I work in. There’s at least one Costa and one Starbucks in each of the buildings on-campus. But none of them are free. Can you not supply your own beverages? But for the few times that I have to visit Head Office, I can put up with it.